Alba has been volunteering with Funcadan Foundation since 2016. Though her involvement with the Dominican Republic started a long time ago. 1- Alba, tell us about your involvement with Funcadan Foundation. How did you get involved? 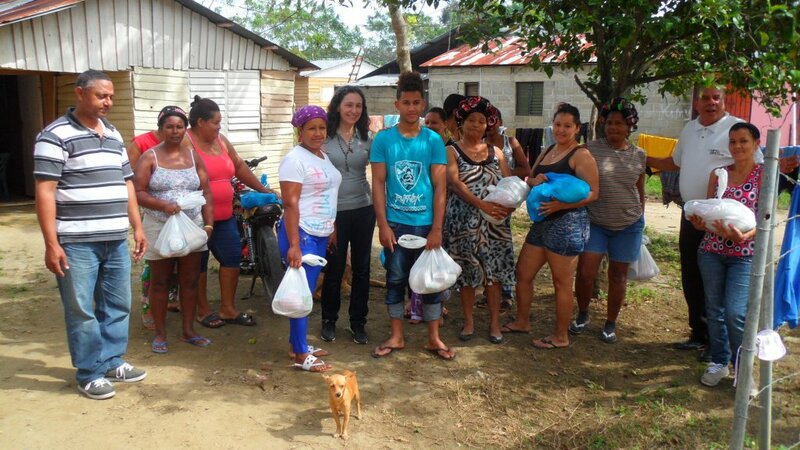 Last winter I was in the Dominican Republic to distribute groceries, as I have done every year since 2012. However, I’ve always wanted to do more, since the need there is so great. So I asked one of the people I know in the Dominican Republic what I could bring on my next trip, and this is when I learned about the Funcadan Foundation. 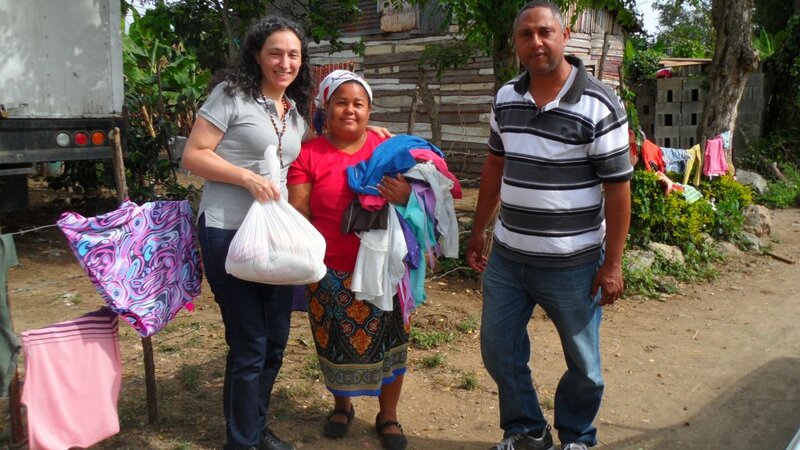 I thought I would talk to my family and some friends to collect at least some donations – used toys and clothes – to bring one or two suitcases. But then I spoke to someone at Richter about the mission. I told him that besides distributing groceries for those in need, I also wanted to send used clothes and toys. I shared some pictures and stories of what I do, and that’s when the Richter team got involved! I really didn’t expect this wonderful news. In the end we collected almost 10 large boxes of gently-used clothing and toys, which the firm offered to ship down for distribution. 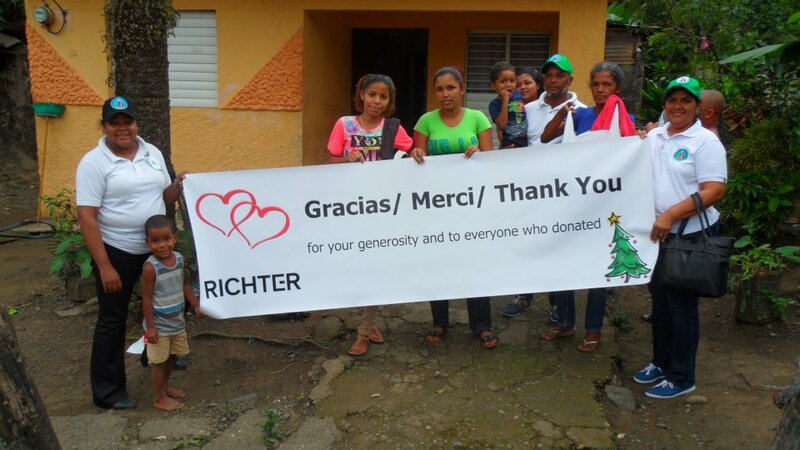 I was so happy because together we not only help the needy, I know it makes them happy knowing that the Richter team shows their love and compassion to them as well. 2- What does Funcadan Foundation do for the community? Since 1990, Funcadan Foundation has worked to improve the quality of lives for children and families throughout the Dominican Republic through their programs that encompass education, healthcare, water and sanitation. The Funcadan Foundation is a non-profit organization created due to the tremendous poverty that exists in the Dominican Republic as a result of corruption, overpopulation, job scarcity, the increased gap between the rich and the poor, and the rise in the national debt. A particular relationship has been forged with the Dominican Institute for Integral Development (IDDI). 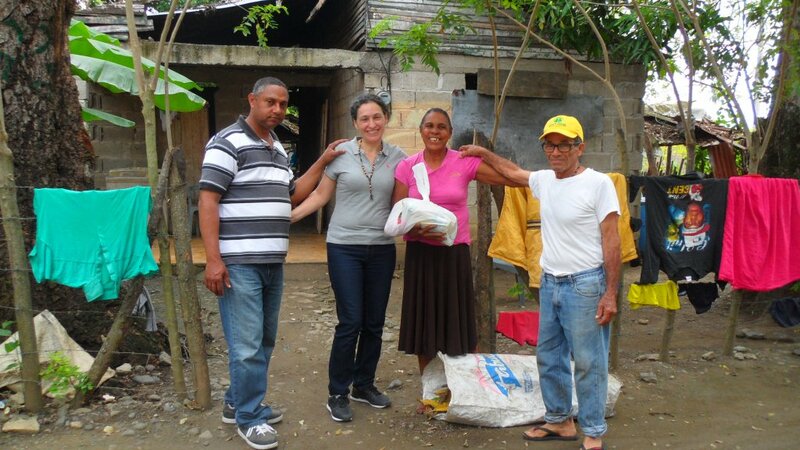 IDDI is one of the primary development organizations in the Dominican Republic with 30 years of experience of working with the urban and rural poor in the Dominican Republic. 3- What pushed you to engage with the community? When I talked with my friend on my last trip about the families in need of clothing and toys, I realized that I needed to do more. It was going through my mind just how much more needs to be done, but could only be done with the help and support of others. I have seen a lot of poor people in these areas – those with no shoes and many with torn and worn-out clothing. The poor children have no toys and parents are in need of clothes for their children and themselves. This is why I have such great desire in my heart to do more for those in need and with the help and support of Richter, we are able to give them joy, hope and love with what we can collect together. 4- You took action and led a donation campaign within Richter last year gathering donations for the foundation; you’re working to do so again this year. How important is donating to foundations like Funcadan? Any tips you’d suggest to others looking to start internal campaigns to support causes they care about? It’s so important to donate to these institutions so they always have supplies to give to those in need. We donors are the source of supplies that bring life to these institutions; it’s thanks to the generosity of people wanting to make a better and more equitable world. My suggestion to others is to follow your heart. If you feel the impulse to help do something to make this world a better place, go ahead and do it. It feels amazing and fulfilling. You will feel so happy inside knowing that you will bring joy to those in need. Also it is important that each of us see our reality and open our hearts to realize that there are many people who need our help, our love, patience, compassion. There are many who lack basic food, water, shelter and clothing. Of course there are so many other ways we can offer our help. For example: monetarily, visiting hospitals, helping institutions that care for orphaned children, the elderly, etc. It all depends on the energy that each one of us has – and we can all do so much. 5- You’ve been volunteering to Funcadan Foundation for a while now. What’s the biggest lesson you learned so far? I only learned about the foundation about two years ago, but I’ve developed the volunteer work thanks to people I know in the Dominican Republic who have told me about the poverty that exists in the country; this is why my resolve to help those in need has increased and has been amplified thanks to Richter. The biggest lesson I have learned so far is that while I have everything I need, many people have so little. Living this experience in travelling to the Dominican has made me realize that we should appreciate what we have and share with others. It’s so important to treat others with love and respect. There are so many people that suffer greatly, but more so when they are ignored or rejected. Finally, to be in solidarity with those in need means we build a better world together, and live in the culture of love.